Yesterday in NYC, grumpy Morgan Freeman got extra grumpy as he threw death glares at the pap who took pictures of him dressed up like a mummy for a movie. Hey, a check is a check. When I first saw these pictures, I got excited, because I thought that Hollywood was finally making a thrilling and dramatic biopic about the life and times of Fruity Yummy Mummy. But sadly, these are pictures from the set of the remake of the 1979 movie Going In Style. 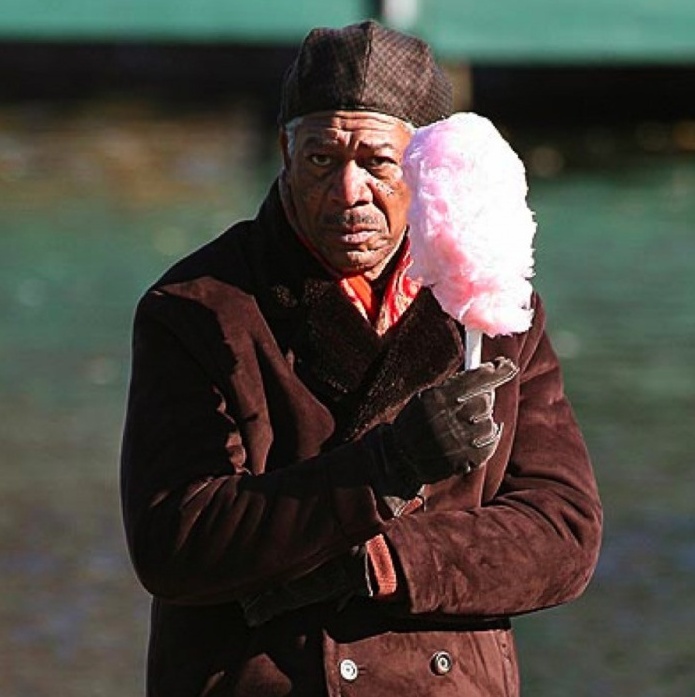 I should’ve known, because if Morgan Freeman was playing Fruity Yummy Mummy, his eyes would be filled with sparkly happiness while thinking about all the awards coming his way.